No one wants to see his or her parent in pain, but it’s difficult to know how to help. Here are some tips for talking with an aging parent about hip and knee replacements. If your parent is visibly in pain or frustrated that simple daily tasks have now become painful and uncomfortable, then it’s time to broach the topic. 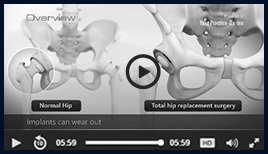 Hip and knee arthritis is a very common reason for pain in individuals ages 60 and older. Sometimes the best treatment an orthopedic surgeon can give a patient doesn't involve a scope, a shot, or a pill. Sometimes it's just a listening ear. "You have people come to you and say, 'Fix me,'" explains hand surgeon David Ring, MD, PhD, associate dean for comprehensive care at Dell Medical School in Austin, Texas. "What they really mean to say, is 'Help me.'"